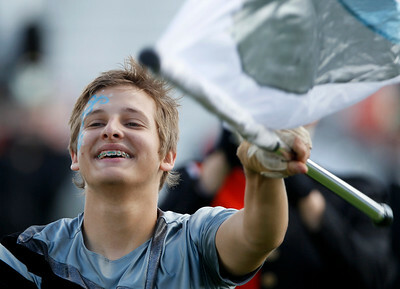 Matthew Apgar - mapgar@shawmedia.com Color Guard member Justice Cook of the McHenry Community High School Marching Warriors competes during the 8th annual Marching Band Festival on Saturday, September 12, 2015 at McCracken Athletic Field in McHenry. 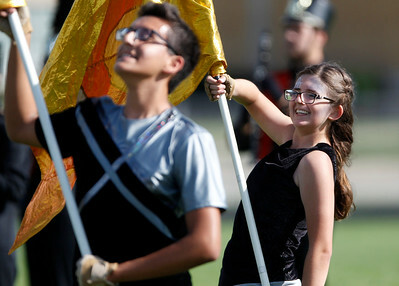 Matthew Apgar - mapgar@shawmedia.com Color Guard members Daniel Mondragon and Maddie Stozek of the McHenry Community High School Marching Warriors compete during the 8th annual Marching Band Festival on Saturday, September 12, 2015 at McCracken Athletic Field in McHenry. 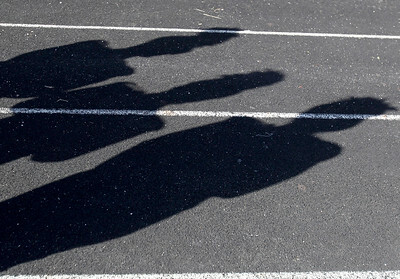 Matthew Apgar - mapgar@shawmedia.com Crystal Lake Central drum majors cast their shadows on the track during the 8th annual Marching Band Festival on Saturday, September 12, 2015 at McCracken Athletic Field in McHenry. 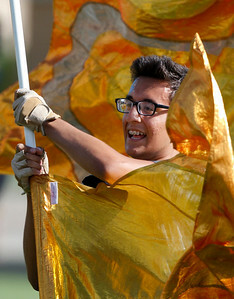 Matthew Apgar - mapgar@shawmedia.com Color Guard member Daniel Mondragon of the McHenry Community High School Marching Warriors competes during the 8th annual Marching Band Festival on Saturday, September 12, 2015 at McCracken Athletic Field in McHenry. 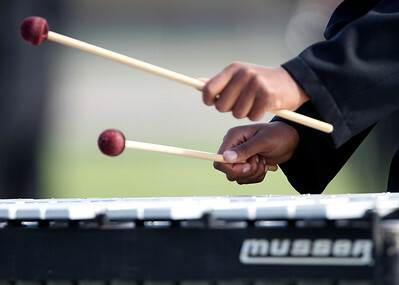 Matthew Apgar - mapgar@shawmedia.com Kennedy Smith plays the vibraphone with the McHenry Community High School Marching Warriors as they compete during the 8th annual Marching Band Festival on Saturday, September 12, 2015 at McCracken Athletic Field in McHenry. 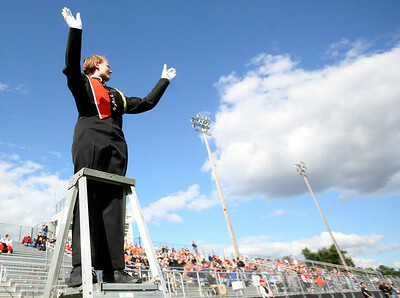 Matthew Apgar - mapgar@shawmedia.com Drum major Kayla Janz of the McHenry Community High School Marching Warriors competes during the 8th annual Marching Band Festival on Saturday, September 12, 2015 at McCracken Athletic Field in McHenry. Drum major Kayla Janz of the McHenry Community High School Marching Warriors competes during the 8th annual Marching Band Festival on Saturday, September 12, 2015 at McCracken Athletic Field in McHenry.